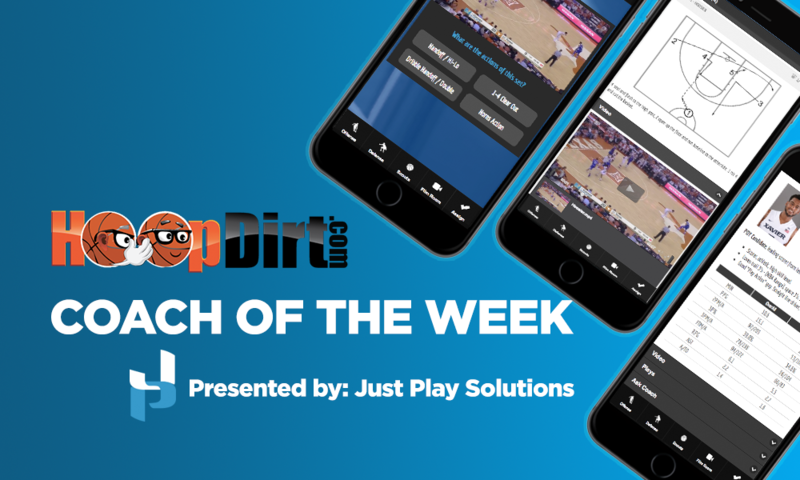 Congratulations to the following coaches who have been selected as the HoopDirt.com Coach of the Week Award winners for week 5 of the college basketball season. The coaches are now eligible to receive the HoopDirt.com National Coach of the Year Award which will be announced at the conclusion of the 2015-16 college basketball season. The complete list of past weekly winners can be found below this weeks recipients. NCAA DI: King Rice – Monmouth University. While Monmouth’s “Bench Mob” has gotten most of the attention this year, Rice and his guys on the court have quietly put together a great start to the season. This past week, the Hawks went 2-0 while knocking off two teams from power conferences – they defeated Georgetown (Big East) 83-68 on Tuesday, and then downed Rutgers (Big Ten) 73-67 on Sunday. Even more impressive – both wins were on the road. Rice and his 8-3 squad also have notable early season victories over Notre Dame, UCLA, and USC. A former standout at North Carolina, Rice was named as finalist last season for the Ben Jobe National Coach of the Year Award, and led the Hawks to an 18-15 overall record (the most wins since 2005-06). 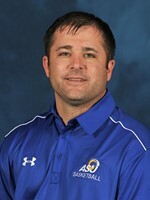 NCAA DII: Cinco Boone – Angelo State University (TX). A three win week for Boone and his 12-0 ASU Rams. After pounding McMurry 115-68 on Monday, Boone’s troops travelled to Las Vegas where they won both games that they played in the Holiday Hoops Classic. Friday night, they dispatched Drury 92-80, then turned around the next day to beat #16 Rollins 87-76. Angelo State is currently ranked #4 in the nation, and off to the best start in program history. 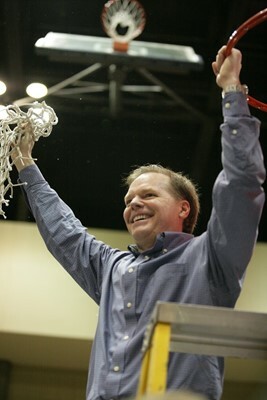 Boone is in his first season as the head coach at Angelo State – he had spent the past two years as the Associate Head Coach at the school, and was promoted to the top spot when Chris Beard left to become the head coach at UALR this past off season. NCAA DIII: Grey Giovanine – Augustana College (IL). Ranked #1 in the nation, Giovanine led his Vikings to a 3-0 week, and kept their record at a perfect 8-0 on the season. Giovanine’s crew began the week with a 86-62 victory over visiting MacMurray, and then headed west for games in Washington and Oregon. Friday night, they mauled Puget Sound 73-49 in a game in which they only led by two at the half. On Sunday, they headed south to Portland, OR where they defeated Lewis and Clark 83-50. Augustana will continue their West Coast adventure when they take on George Fox (OR) on Tuesday. 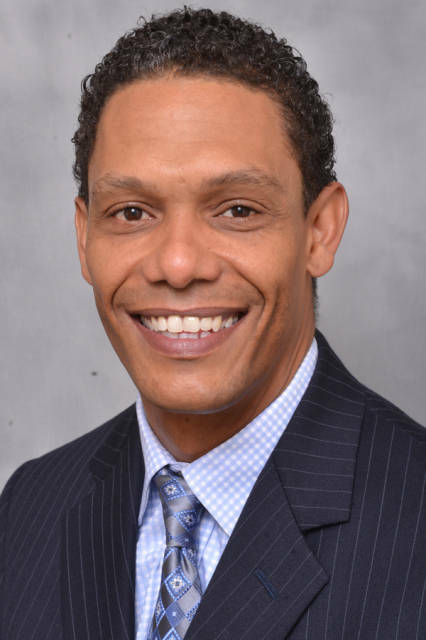 Giovanine, who is in his 17th season at AC, was the 2015 Basketball Times National Coach of the Year after leading the 2014-15 Vikings to a 27-5 record and an appearance in the NCAA Division III championship game. NAIA: Carson Harris – Marian University (IN). 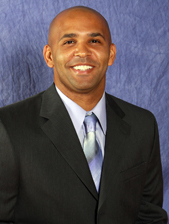 Harris, who was hired this past spring after spending the past five seasons as an assistant at DI Evansville, has not lost a game yet this season. The rookie head coach extended his winning streak to 13 with a 76-69 victory Lourdes University on Saturday. Currently ranked #4 in the nation, the 13 straight wins to open the season now give the Knights the longest winning streak in program history. Harris and his squad look to extend their streak on Tuesday night when they travel to IU-Southeast. Junior College: Corey Symons – North Idaho College. The NJCAA’s 13th ranked DI team, Symons’ Cardinals moved to 15-0 on the season with two more wins this week. The 104-86 win over USU-Eastern on Friday was the 5th game in a row that NIC had topped the 100 point mark. They only scored 88 on Saturday, but it was still good enough to defeat Colorado Northwestern CC 88-72. 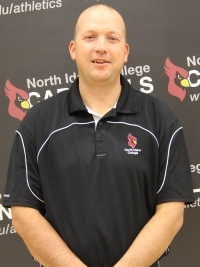 Symons is in his first season as the head coach at NIC – he has spent the past ten seasons as an assistant for the Cardinals, and was elevated to his current position when Jared Phay accepted the College of Southern Idaho job in the spring. The Cardinals will look to crack the Top Ten in this week’s NJCAA DI poll.